Finally, a book for you teachers! 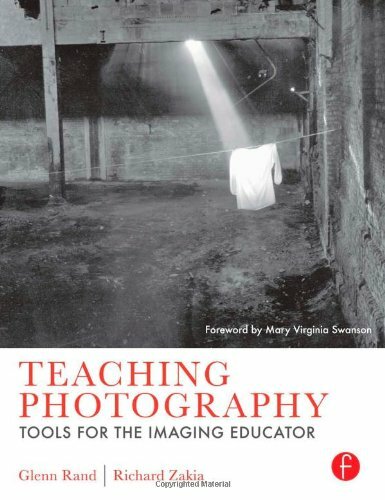 Because making great photographs does not always translate into an ability to teach effectively. Teaching Photography will show you how to help your students expand their knowledge and abilities in the techniques, the aesthetics, and the way photography fits into a greater world of knowledge, by providing ideas for inspiring conversations and critiques, as well as insightful pointers regarding the learner's perspective in this new world. Teaching Photography approaches photographic education from a point of view that stresses the how and why of the education and not the technique to be taught. *Incorporates student artwork demonstrating direct results from critiquing sessions - the good and the bad!